摘要：Chile will receive its first shipment of liquefied natural gas later this month, helping to partially diversify gas supply to the South American country.However, a crash in pipeline gas supply to Chile in recent years led to a massive increase in ..
Chile will receive its first shipment of liquefied natural gas later this month, helping to partially diversify gas supply to the South American country. However, a crash in pipeline gas supply to Chile in recent years led to a massive increase in diesel-fired power generation that LNG imports alone will not reverse. By 2010, the terminal will have the capacity to send out 2.5 million tonnes per year, but this year, as operations ramp up, the import capacity will be half that. 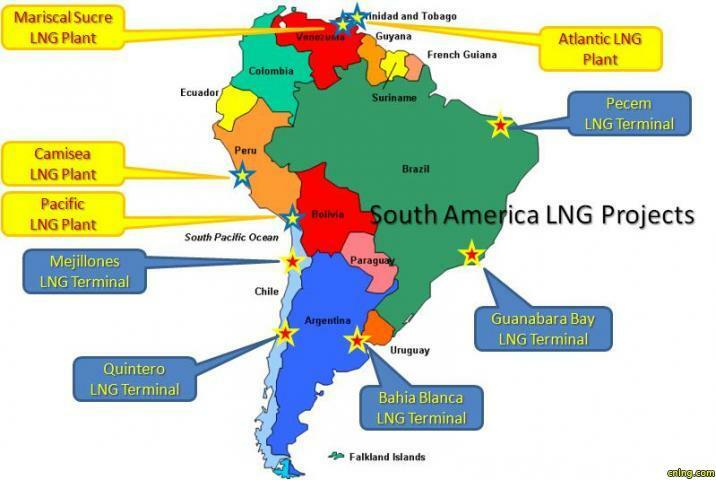 The LNG will be used to supply industry in the region and the domestic market in Santiago metropolitan area. Chile’s Energy Minister Marcelo Tokman hailed the departure of the first cargo from Trinidad on Monday, saying such shipments would “give the country more energy independence”, but the resumption of higher pipeline supplies from Argentina will need to play a major supplemental role if gas’ share of the energy mix is to increase, analysts said. Currently, natural gas accounts for just 2 percent of Chile’s power generation ― having suffered supply cuts from Argentina ― with hydroelectric generation accounting for 50 percent, diesel around 27 percent and coal around 15 percent. Diesel use in Chile increased 63 percent between 2006 and 2008 as gas demand dived, according to PFC analysts in Washington, while gas demand tumbled two-thirds between April and July 2007 as imports from neighbouring gas-short Argentina fell. “LNG volumes can help restore gas use to their previous levels, but not fully. There is room for both Argentinean gas and LNG in Chile,” said PFC senior analyst Nikos Tsafos. Energy Minister Tokman told the Reuters Latin American Investment Summit last month that Chile would continue to buy available gas from Argentina despite increased LNG shipments. Gas supply will be also be boosted slightly with the start up of another similar-sized terminal in northern Chile by the end of the year, run by GdF Suez (GSZ.PA) and Chile’s state-owned copper producer Codelco.